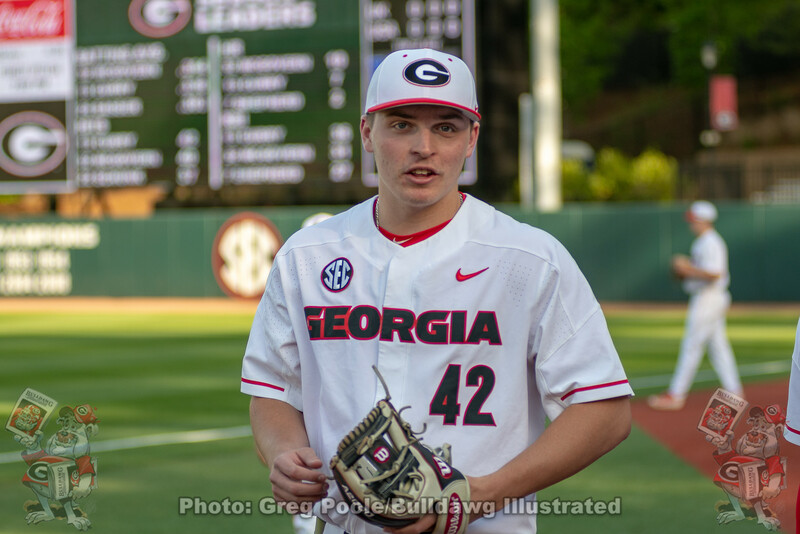 Fifth-ranked Georgia completed its two-game home-and-home season series sweep of Georgia State with an 11-1 victory Tuesday evening at Foley Field. For the eighth time this season, Georgia’s runs reached double-digits. The Bulldogs improved to 19-2 on the season, which is the best start by Georgia since 2009. Additionally, the victory is the 10th in a row, marking the best streak in the Ike Cousins Head Baseball Coach Scott Stricklin era. Georgia starter Tim Elliot tossed five scoreless frames, striking out six Panthers, while only giving up three hits none of which were extra bases. The junior right-hander improved to 3-1 on the season, winning his second consecutive start – both against Georgia State. In the second inning, freshman designated hitter Connor Tate hit his first-career homerun over the left-field fence giving the Bulldogs a 2-0 lead. Also scoring on the homer was sophomore catcher Mason Meadows who singled up the middle in the previous at-bat. In the following inning, Georgia tacked on three runs to extend its lead to 5-0. First, sophomore Riley King (2-for-4, 3RBI, 2R) delivered with an RBI single, scoring junior shortstop Cam Shepherd who walked, and stole second base. King then scored on an error, and junior third baseman Aaron Schunk, who singled in the inning, scored on a passed ball. To break the game open, the Bulldogs piled on four runs in the fourth inning. With the bases loaded, King came through again, singling to left field to clear the bases. King then scored on a sacrifice fly off the bat of Schunk. 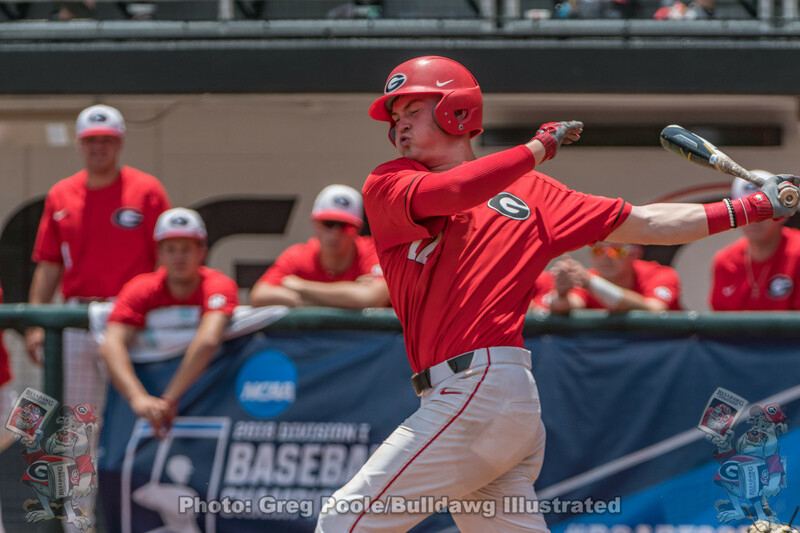 Lastly, sophomore third baseman Cole Tate and freshman catcher Shane Marshall both drew bases-loaded walks in the seventh inning to make Georgia’s lead 11-0. After Elliot departed from the game, sophomore Darryn Pasqua, junior Logan Moody, senior Adam Goodman, and freshman Jack Gowen came out of the bullpen to finish the game. The four Bulldogs in relief yielded one run on one hit, while striking out five batters. Up next, the Bulldogs will face No. 10 LSU in a three game home stand starting Friday in Athens. · Mason Meadows extended his streak of reaching base safely to 10 games, which is his longest of the season. It also extended his hit streak to three games – a season high. · The first career homerun by Connor Tate also registered his first career RBIs. 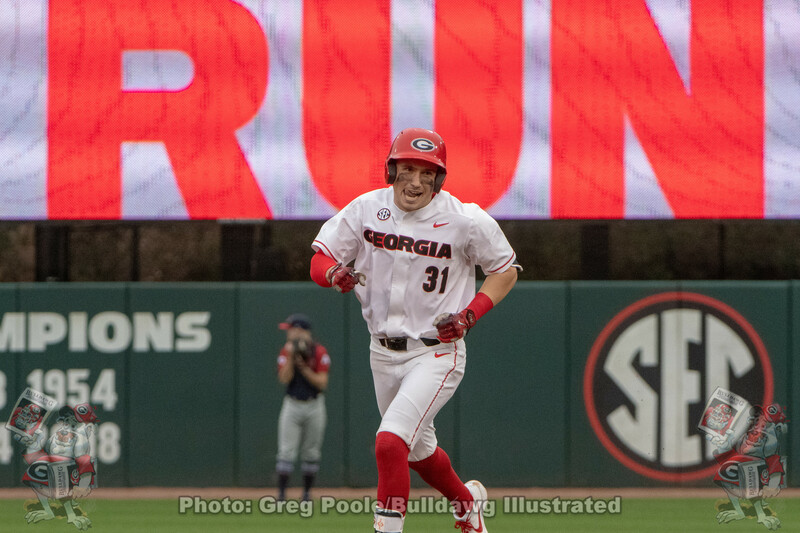 · Cam Shepherd, the SEC leader in walks, drew two more walks for a total of 24 on the season. Shepherd has drawn a walk in 14 of the 21 games this season. He also stole second making him 4-for-4 in stolen bases. · With a third inning RBI single Riley King extends his streak of reaching base safely to 11 games. · With six strikeouts tonight, Tim Elliot has now struck out at least six batters in four of his eight career starts, three of which have occurred this season. · Aaron Schunk extended his hit streak to 12 games.